And it could reveal the large-scale structure of the universe. 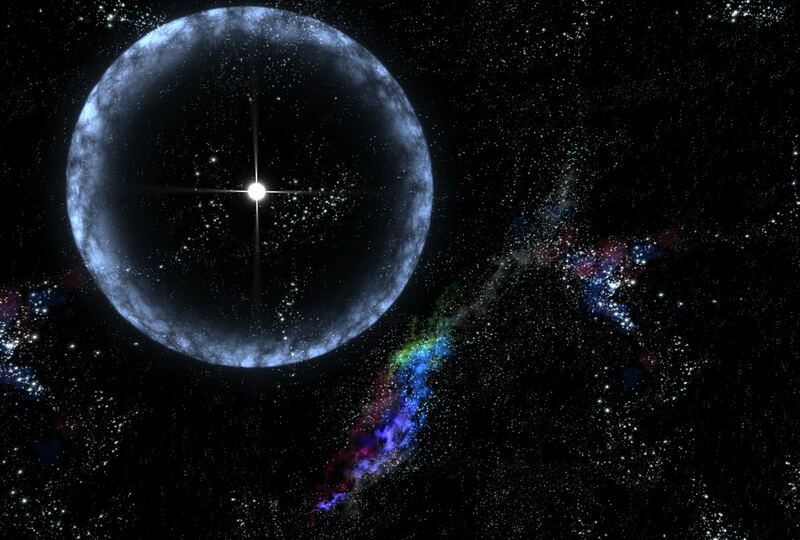 Fast radio bursts (FRB) are flashes of energy that happen in just a millisecond. According to a study published in Science, the brightest FRB to date was recently discovered by a team of scientists led by Vikram Ravi of the California Institute of Technology in Pasadena, and Ryan Shannon from the CSIRO Astronomy and Space Science in Epping, NSW, Australia. FRBs contain energy equal to that produced by the sun in one day, and their origins are still largely unknown. Scientists are unable to explain their actual causes, although studies are not lacking, a recent one was even able to associate an FRB with an accompanying gamma-ray burst. Ravi’s team managed to capture the brightest ever FRB recorded. It was so bright that they were able to locate the source of the event, using two of their detectors simultaneously, with more precision than previous attempts. Their calculations narrowed down the flash’s source to several possible sites, with a galaxy called VHS7 as the most probable. The researchers were able to calculate the magnetic field between the Earth and the VHS7 by analyzing the change in wavelength and polarization of the FRB during the burst. While FBR’s still remain mysterious, this study can better inform our models of the structure our universe, in large-scale.